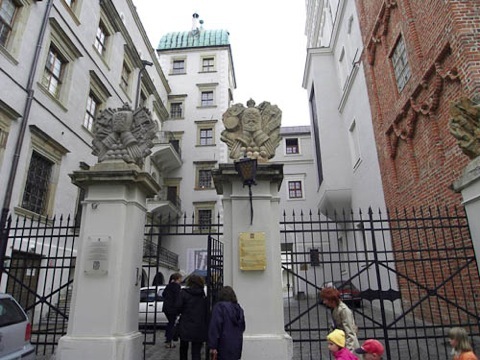 I just want to tell you about my experiences with Dental care in Ireland and Poland. My local West-Cork Dentist is a real artist with filling teeth or molars. He can fill elements that I would say are hopeless cases. However, after 59 years of a full life, everybody will understand that that some of my elements indeed got to a state of "Beyond repair"
Now the dental system in Ireland works such that your local dentist does the fillings and extractions but for more esoteric constructions you need specialist consultants, usually based in regional cities. I already had a negative experience meeting such consultant who on our first meeting first wanted me to fill out a form rather then to meet in person and then let me wait 20 minutes before my patience expired and I left. Not my idea of friendly respectful personal service at a first meeting. 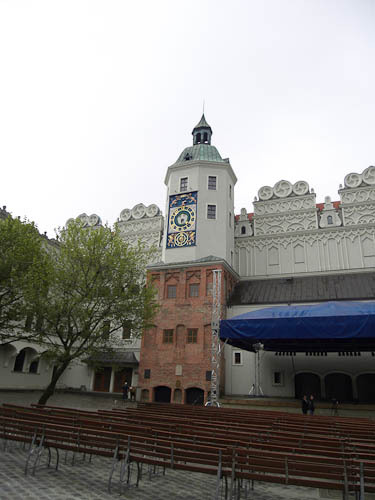 Nevertheless I enquired and was told that a budgetary quote for one crown was 2000 Euro. 2000 Euro? What is the hourly fee these guys ask for? Rip-off Ireland? or The dental mafia? Or both? I did not want to spend this kind of money and be humiliated by an inefficient and arrogant consultant and wanted a solution that I liked a lot more in terms of both Personal and Dental treatment. You must know that I am used to dental service of the highest standard. Because of previous business relationships both my wife and me have been clients of a professor in the dental department of Nijmegen University, in the Netherlands. However, we don't live in Holland anymore and flying to Holland is the same as flying to any another country. So I started to do research on alternative options. 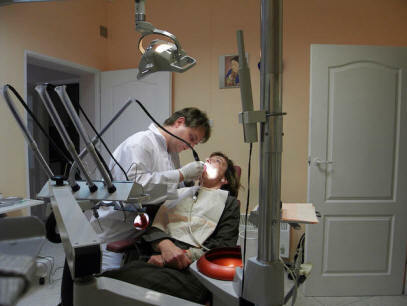 My Polish friend Kamila pointed me to Dental services in Poland, which she said were of very high standard. My Chinese friend David pointed me to the possibilities in China. It turns out that a crown with a respected Dentist in Shanghai is 50 Euro and with your average Polish one 170 Euro. I only needed one or two and felt that I had potentially better communication with a Polish then a Chinese Doctor so I started to do some research on the web. 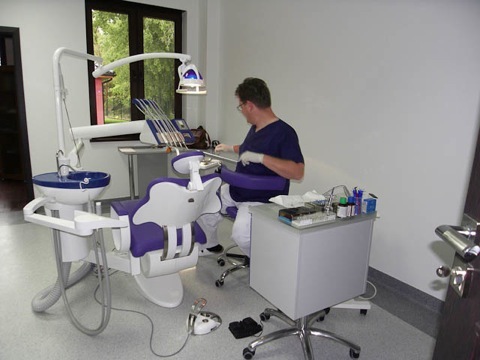 It turns out that there are quite some dental outfits that offer services in Poland and especially Szczecin as there is a well-known university there with a Dental Department. Many are big clinics and appear somewhat impersonal. One website appealed to me as it had a rather personal touch and was about a young husband and wife team with obvious modern ideas and equipment. I contacted Michal Wiklinsky and from the first contact throughout the procedure Michal has been a pleasure to deal with. He was very concise in his communication, he organised a chauffeured car from Berlin airport where I landed and fetched me from my Hotel. Then he gave me a very thorough exam inclusive of a panorama x-ray of the total dental situation. We discussed the situation in some detail and played with the various alternatives. Then Michal swiftly started on the three crowns that we jointly decided on. Worth mentioning is the novel way of anaesthetics he uses. Rather then stick needles in your mouth and palate, he washes just the one element he works on with anaesthetic with a special probe-like device. You don't feel ANYTHING, no sting in your gums or palate, nothing and you don't have the feeling that half your mouth is tingling and swollen. On the third day of my stay he placed the three crowns and they are perfect. Cost:? 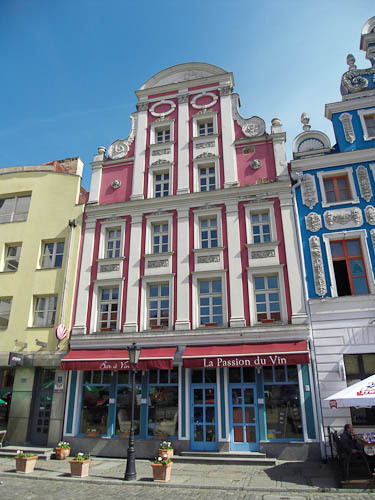 555 Euro for three crowns Flight Dublin Berlin 88 Euro Two nights hotel in Poland 50 Euro. Total 693 Euro for three crowns and a very personal service. What 2000 Euro PER crown? Michal clearly is very experienced in this work. He works swiftly and purposeful. He knows what he is doing. 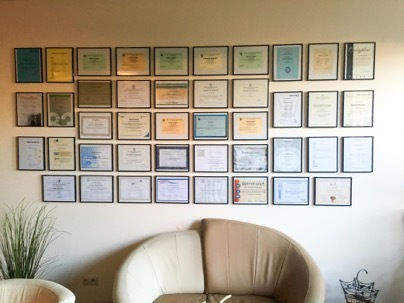 In his praxis he has an impressive list of diploma's and certificates of all the latest technology and procedures he has studied and mastered. I have no financial link with or interest in Michal's services. It's just that I know a good service when I see one and I think that a good service deserves a good press! Please feel welcome to email me should you have any questions or comments. UPDATE 11-2006 Since I made this site in November 2005, many of my friends here in Ireland and some people I got to know through this site from other countries have been treated by Michal. 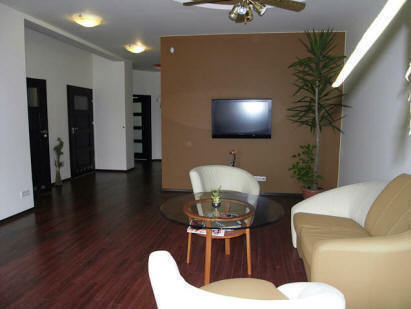 All of them have returned with a big smile and very content with their teeth and Michal's service. They have had various treatments. One of them needed a lot of work done and he saved 16000 Euros compared to his quote from a German dentistry! Not to mention what it would have cost in Ireland! My wife had two old bridges of 20 years that came off recently. Michael replaced one of them with a new one made of a very new composite material. It looks beautiful and provides limited flexibility that will extend the expected lifetime of it. A second temporary bridge was made on the spot by Michal using a very clever 'before and after' molding technique. She also had two implants set that, after healing, will help carry the new permanent second bridge. We took the trip with our friends Nel and Johnny who were delighted with the work that Michal did for them. 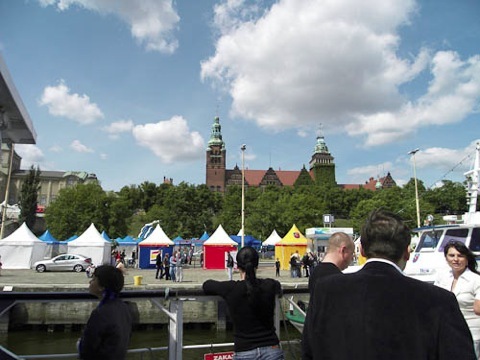 We had a great time in Szczecin as a bonus. We stayed on board the Ladoga a Russian ship with some rooms and a great restaurant. My wife went back to have the bridge placed on the implants that have healed since being placed in December. Once more she has a radiant smile and she feels the bridge is placed so that the load is carried evenly on all implants. Good work. Thanks Michal! Michal is still looking after our dental needs. Recently I got my first implant, no pain no hassle. Lya got root canal treatment. Same thing: Quick and personal service, no pain and affordable cost.